Pre-shape, rest 15 minutes, shape to floured couche. Bake 480 with steam for 17 minutes and vented for 30-35 more. These soon ran out and for the last day of the year I put together a hybrid Ciabatta using my spent starter from feeding. These are based on the formula from my previous work and came out quite fantastic. 1) Autolyse 30 minutes holding back about 5% h20. Soak yeast in small amount of H20 to dissolve during autolyse. 2) Add levain, sour, and yeast along with some of the h20 and combine. Add salt with remaining h20 and mix to a soft dough with little development but all well incorporated into dough. 4) Turn out on a well flour board. Cut into rectangles and give a gentle letter fold. Place seams down on a well floured couche. Be sure to also give the loaf a good dusting of flour before going to couche. 6) Bake 500 with steam for 15 minutes and vented for 20-30 more. Happy Baking in 2015 Josh. Not sure about best though. They did their job and tasted quite good particularly the ciabatta. 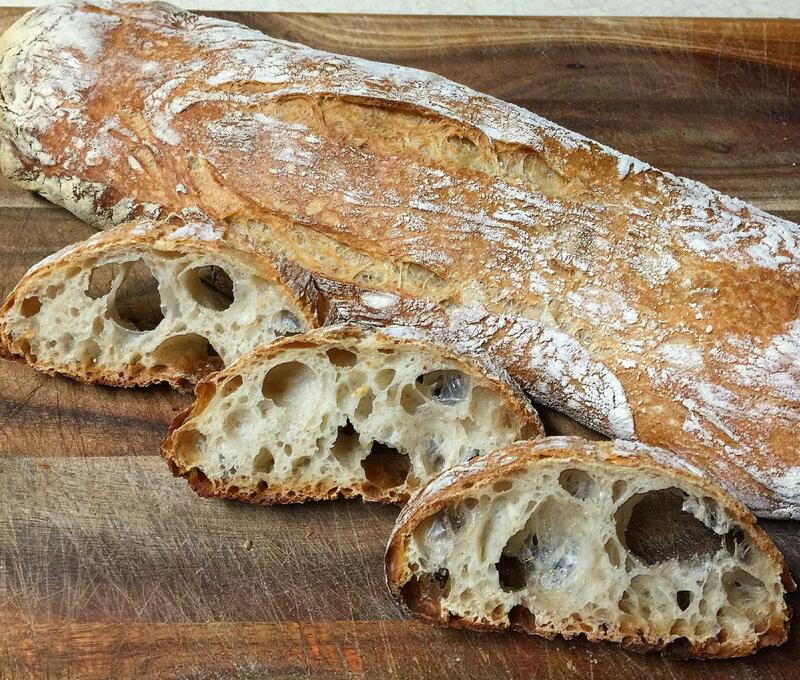 I'm not much for simple french loaves I prefer a baguette but when you need some bread for eating it does the job. Wow, Josh! No wonder they went quickly... Awesome! They both look awesome Josh! Incroyable! SO jealous. Good eating. Really beautiful loaves. Stuff to aspire to! They look great. It's funny but I can recognize your scoring now and can pick out your bread by the picture. 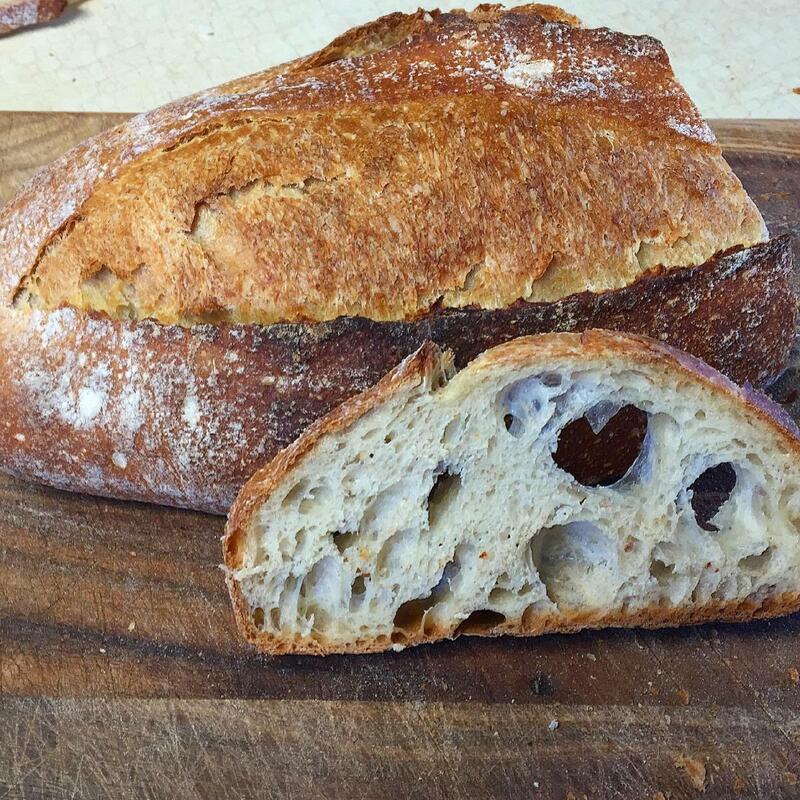 so I replicate ur batard sub it with 150 liquid levain used armarath flour instead of rye and added 5% wheat gem the rest is the same It comes out perfect!! thank you!! And happy new year !! is easy and you get that crumb from just flooding the dough from the get go. Super simple and satisfying.